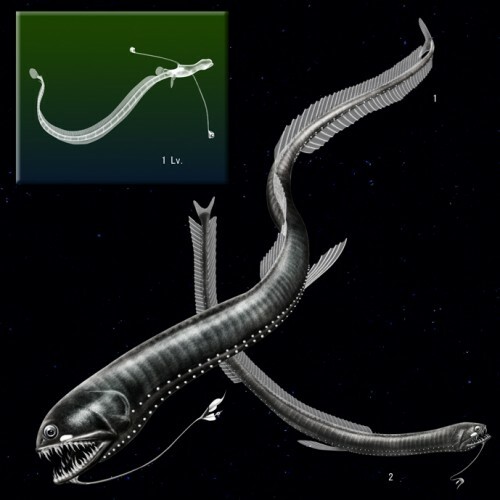 Looking at the drawing above, you’re probably thinking it’s from some Hitchhiker’s Guide to the Galaxy… there’s no way that could be an actual creature on Earth… right? Quite a Before-and-After series, eh? 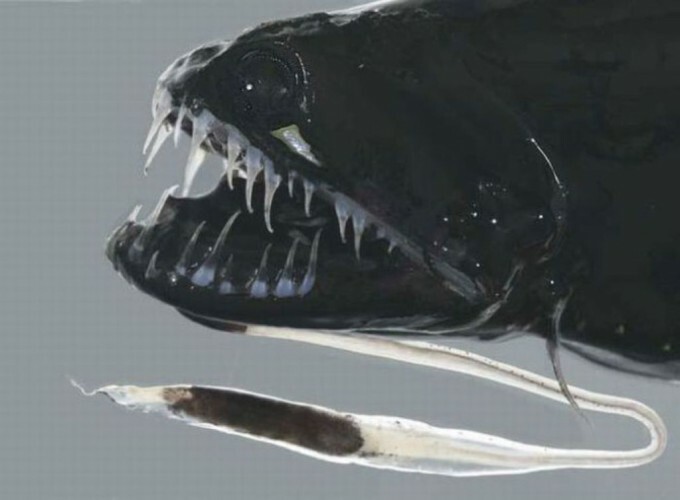 Black Dragonfish are also called Deepsea Stalkeye Fish because of their googly-eyed larval state. 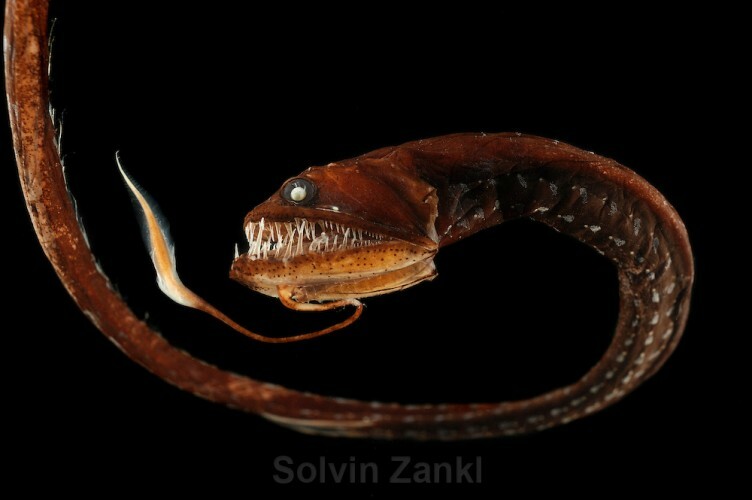 The larva are long and slender, almost spaghetti like creatures, that grow between 1.6 to 2.8 cm in length, and have amber eyes on very long, cartilaginous stalks that are up to 25% of the total body length. 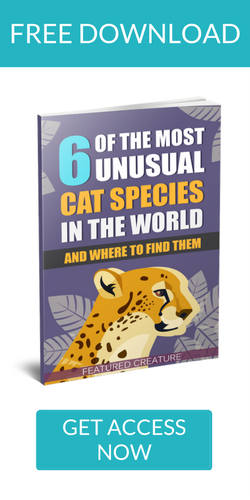 The eyestalks apparently aid it in a wider range of vision (well, we knew it wasn’t for aesthetic purposes…). 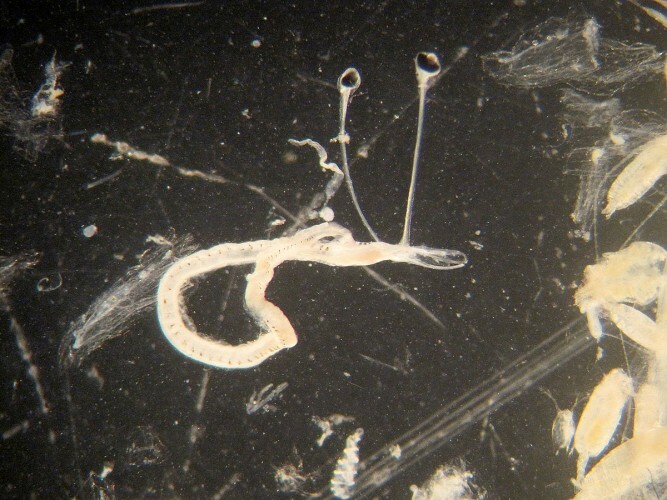 The head of the larva is flat with a duck-like snout and its intestines extend outside of its body and slightly beyond its caudal fin – you can see it drooping out of the photo above. Attractive. 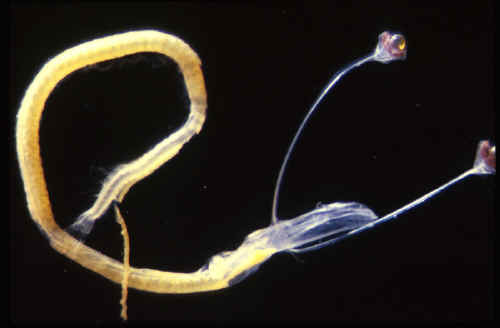 Once they’re in the adolescent stage, the eyestalks disappear, the intestines get sucked back into the body, the skin darkens, and, in females, rapid growth occurs (they can actually quadruple in length!). 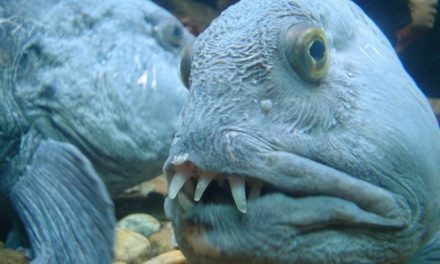 Males don’t grow as much during this stage, but the skin does darken. 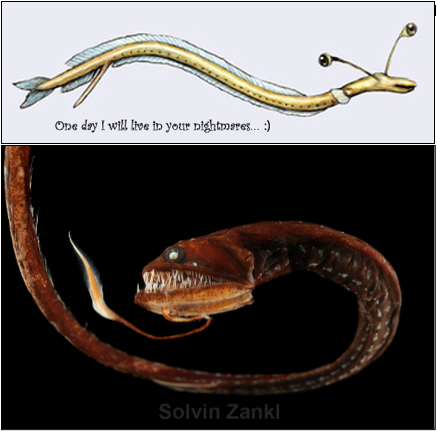 NextAlright, Here’s the Aquatic Scrotum Frog: a Name and a Face You Won’t Soon Forget! You Will Never Get My Soul, Snub-nosed Monkey! 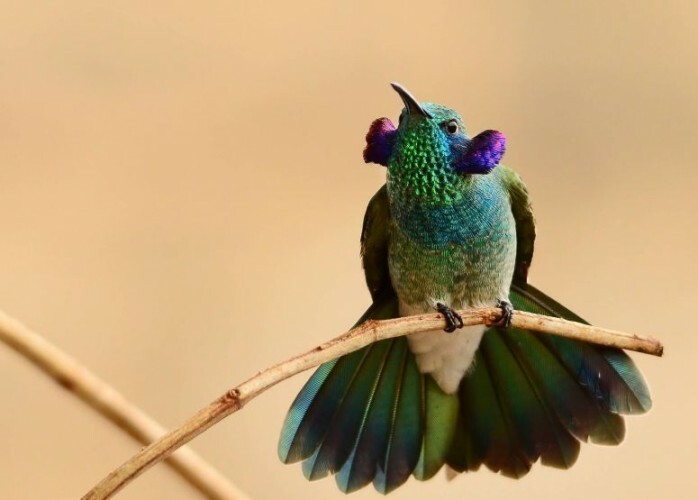 Ever Seen a Hummingbird With Purple Ears? Well, You Have Now!